Established cGMP Sanger sequencing service for release testing of regulated biological drugs as well as for validation of DNA-based diagnostic tests/devices for marketing clearance applications. 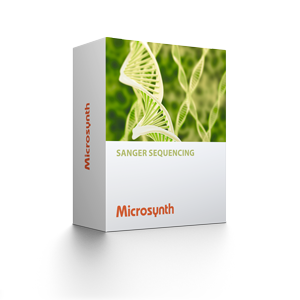 No matter if European or FDA-level submissions are to be sought, Microsynth's quality system has been set up to meet the most stringent quality requirements from regulatory authorities worldwide. Our cGMP DNA Sanger sequencing services are designed for identity and stability tests of cGMP biologics, to analyze pre-clinical and clinical trial samples, and to validate DNA-based diagnostic tests and devices for marketing clearance applications. When you collaborate with Microsynth, we share our experience and knowledge, respond to your needs in a timely manner and give you undivided attention. Contact our application specialists to discuss your next GMP DNA sequencing project in detail to get an attractive quote!